Gotta love Twitter! 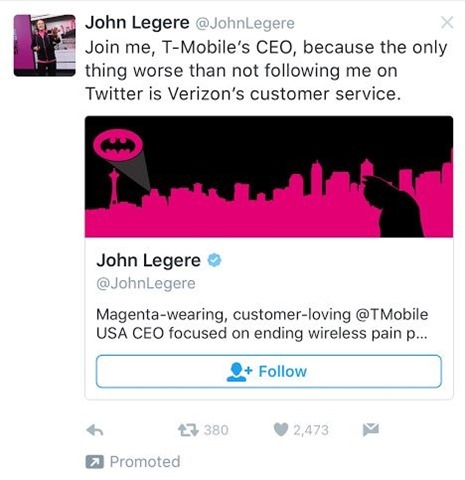 T-Mobile CEO John Legere took it upon himself to dish out a #dayum style tweet on Verizon’s customer service or lack there of! Love it! Follow John on Twitter because the only thing worse is Verizon’s customer service! Next articleWin10 Widgets Just Works!